Eight years into its development, PTC’s Creo Parametric continues to expand its toolset, making computer-aided design (CAD) easier and more efficient. 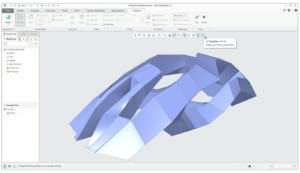 With the release of Creo 5.0, PTC continues to develop its product by adding new capabilities that include support for additive manufacturing, mold machining, topology optimization, computational fluid dynamics, and multi-CAD collaboration. How the Creo 5.0 user interface has been updated. Why Creo 5.0 is even better for mold makers and plastic part designers. How CNC tools have been enhanced in Creo 5.0. Complete the form on this page to download your free white paper. Your download is sponsored by PTC.